It’s the international break, Reds. With Liverpool out of action until we host Tottenham at the end of month attention turns to the perennial transfer rumour mill. Speaking on the Kop On podcast, James Pearce has offered his thoughts on some of the biggest names linked to the club. One name that has been on the lips of all Liverpool fans has been Juventus star Paulo Dybala. Not the news we wanted to hear really is it, Reds? The Echo journalist is usually on the money with his insight so we might have to take his comments as a potential truth, unfortunately. It was reports such as TyC Sports in Argentina that initially linked us with the 25-year-old attacking ace back in the summer. There were also suggestions that a swap deal was being put in place for Dybala and Mohamed Salah, which will thankfully be consigned to the ‘not in a million years’ category. 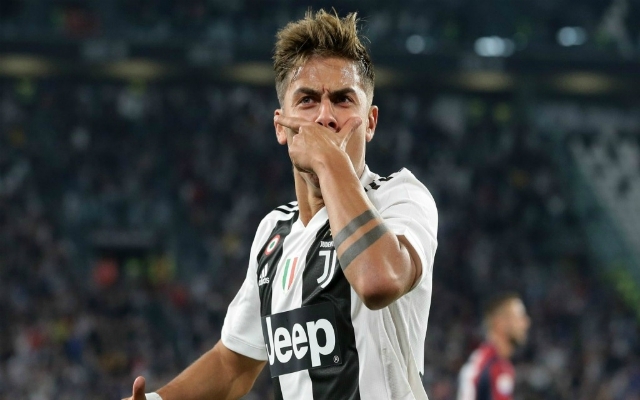 It seems, for now, that we’ll have to relinquish any hopes of Dybala exchanging Turin for Liverpool for the foreseeable future.